American shoppers are collectively responsible for more wasted food than farmers, grocery stores, or any other part of the food-supply chain. The average family spends a shocking $2,225 every year on food they don’t eat. This problem is so massive that if food waste were a country, it would have the third-largest environmental footprint after the United States and China. This week on Eat Your Words, host Cathy Erway is on the line with Dana Gunders, NRDC staff scientist and author of the new book “Waste-Free Kitchen Handbook,” seeking to change this quandary. 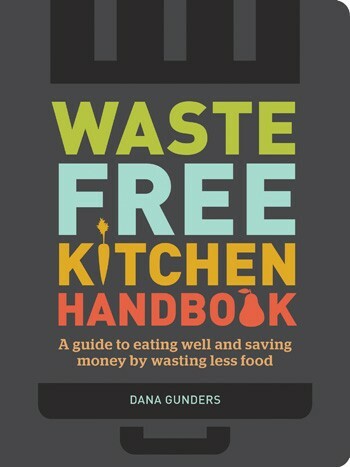 Dana explains that this essential guide—packed with engaging checklists, creative recipes, practical strategies, and educational infographics—offers easy ways to save food and money. And the good news? Cutting food waste doesn’t require significant time and effort. Dana offers genius advice for smarter grocery shopping, ingredient storage, and meal planning. All it takes are a few simple behavior tweaks to take a real bite out of this problem.